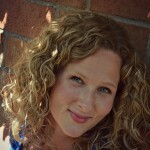 One of the questions I’m most often asked about trails is……Can I bring my stroller? Often the answer is sorry, no. But today, it’s YES! Absolutely, yes! Bring the strollers, bring the kids, bring your Grandma, your dog, your picnic, your husband and your friends. This set of incredible boardwalks has something for everyone. 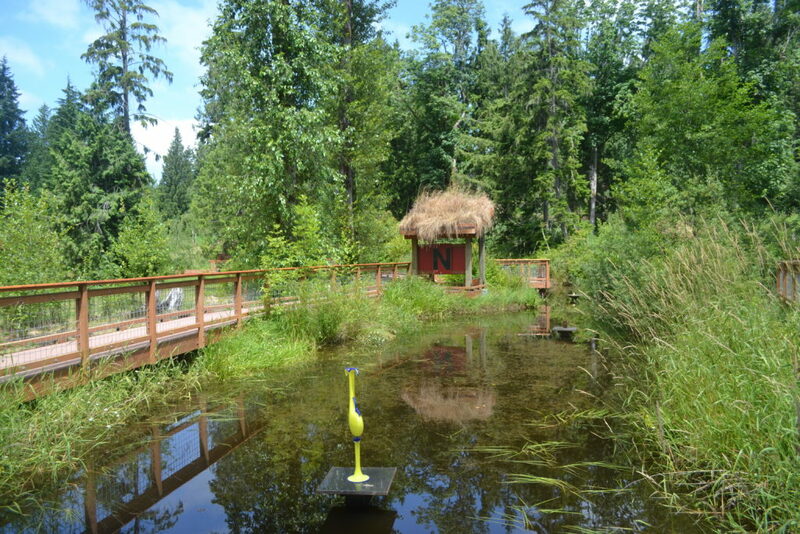 It’s even extremely handicap accessible so, if you know someone with special needs who’d love some time in nature, this is for them. Located just 3 minutes off I5 at the 300th street exit. 2420 300th St NW Stanwood, Washington. If you see this church, you’ll know you’re at the right spot. What a beauty, yes? When we walked this trail a few days ago with my Mom, there was NO shortage of nature. 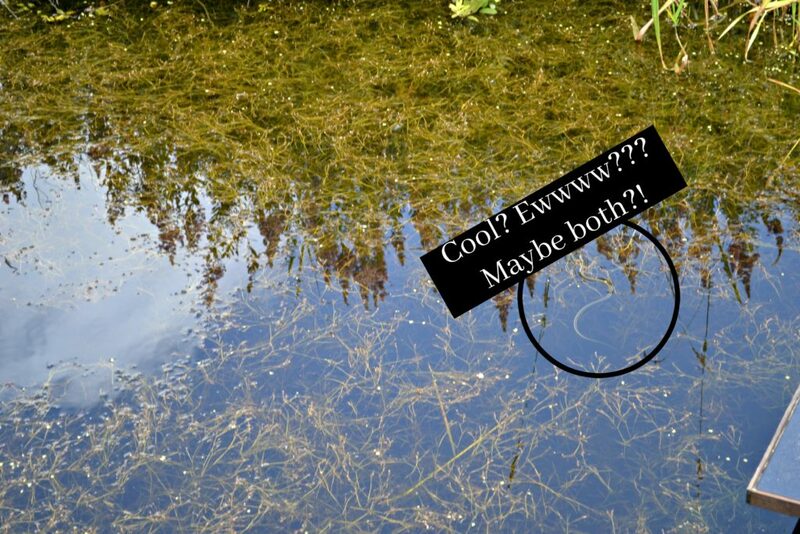 Swimming snakes? Fine with me, since I was safe on the boardwalk and they were in the water. Completely interesting for the kids! See all those black circles? Now look closely. 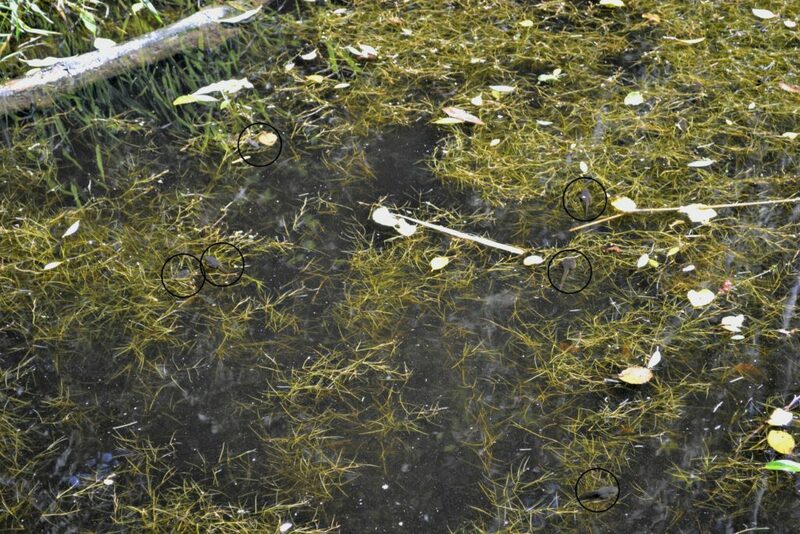 Tadpoles…..everywhere! We must have seen 100! And they’re big, too! Found on 20+ acres located on Exit 215 off the I-5 freeway, 45 minutes north of Seattle. 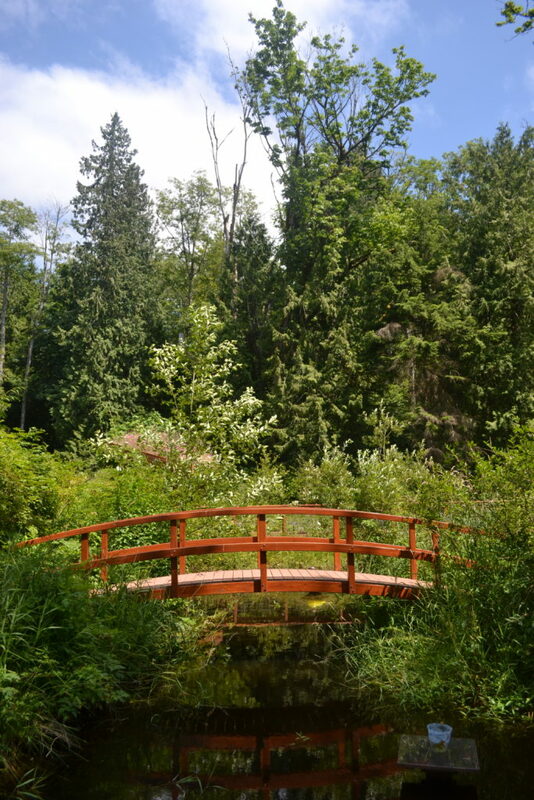 The Gardens contain all of Western Washington’s indigenous trees, shrubs, vines and ferns along with most grass, moss, mushroom, pond, flower and ground cover species. 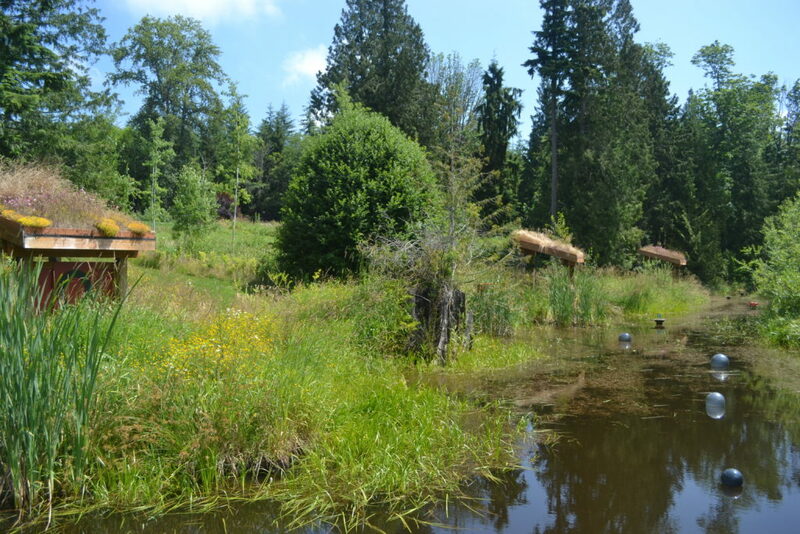 The Gardens also exhibit 3 types of wetlands on a portion of the 1973 state-destroyed Freeborn Church Creek. 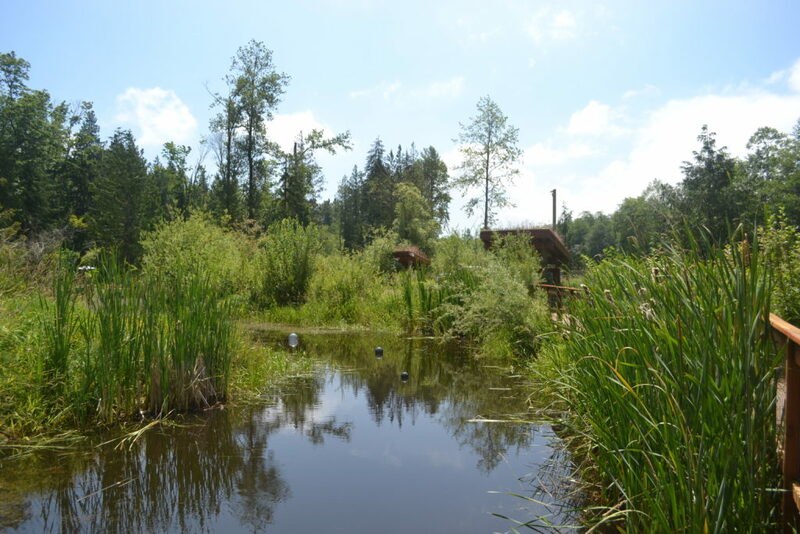 The Gardens are intended to serve as an outdoor educational and recreational resources for the coming generations. 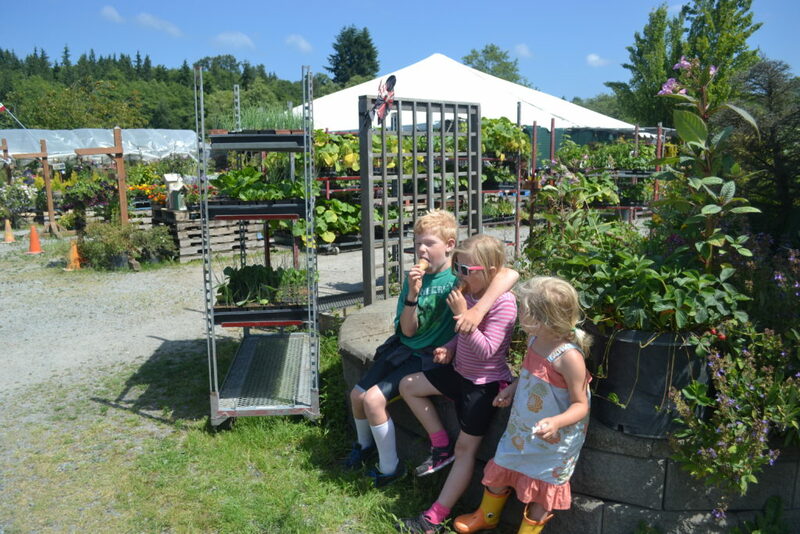 As part of the Pilchuck Stanwood Camano Learning Center, its paths and kiosks, like the Pilchuck Living History Farm’s across the road, serve as “outdoor 3-dimensional laboratories”. 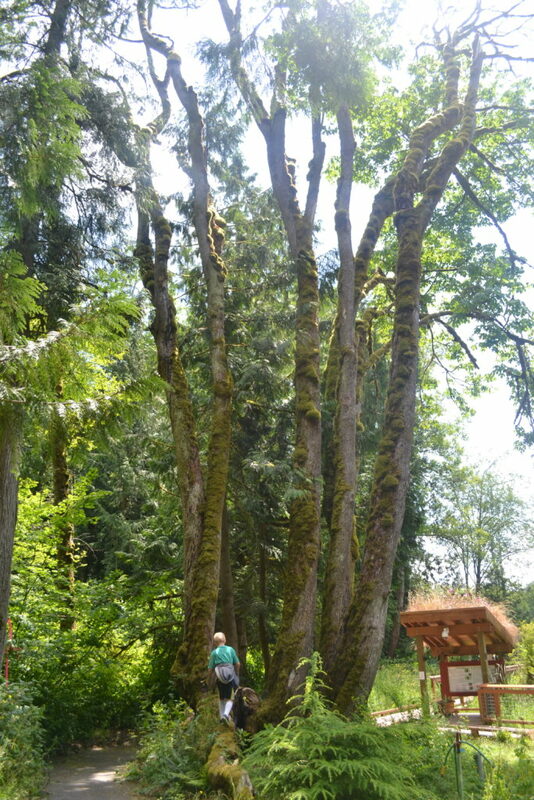 While the collection of native plants is being established; Bonhoeffer Gardens operates as a private non-profit farm focusing on the preservation of the Northwest’s indigenous plant species. 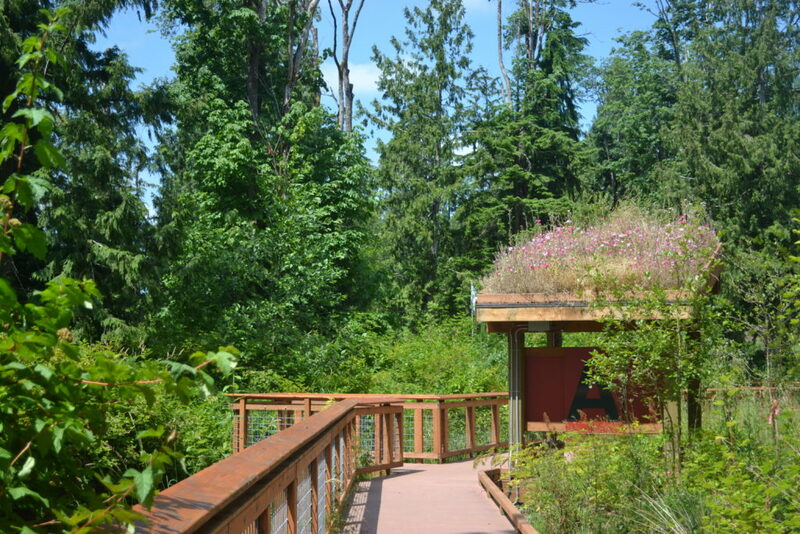 When a Conditional Use Permit is obtained (zoning), the Gardens will be opened to the public. Enjoy yourself, the gardens and the day: Life is short. 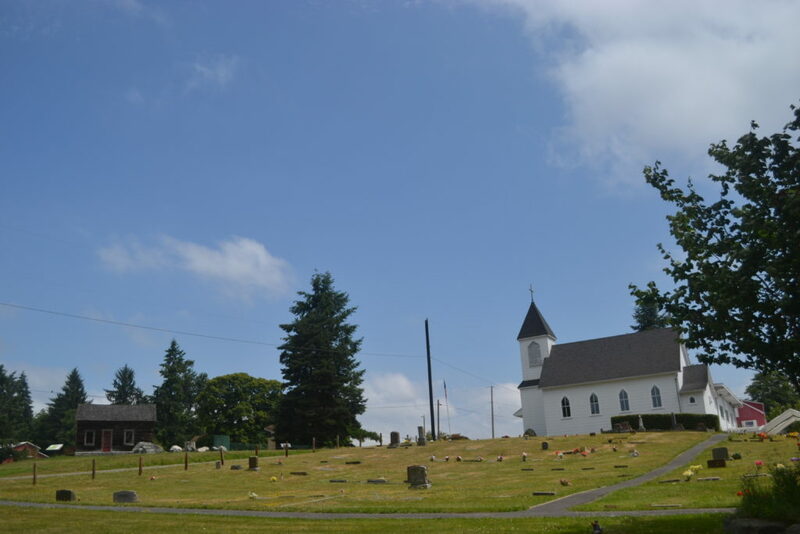 Read more here on the Freeborn Lutheran website…. 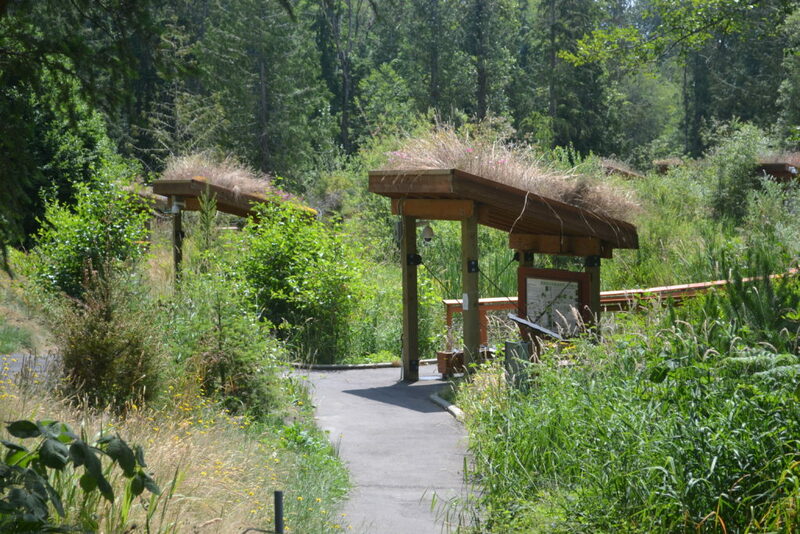 The trail is mostly a series of beautiful boardwalks, that wind throughout this huge wetland garden. You could walk it in 30 minutes, or spend 3 hours, depending on your pace and how often you stop to read the signs. 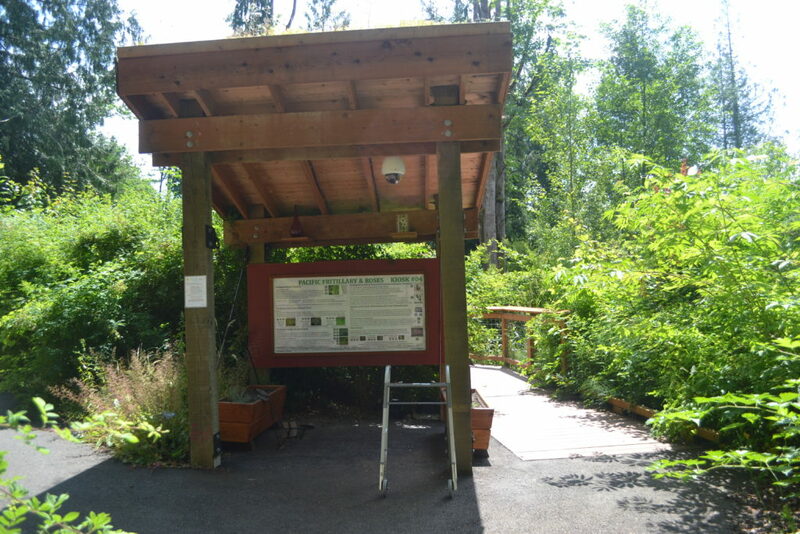 There are kiosks everywhere full of information about the plants and wildlife that inhabit this wonderful area. 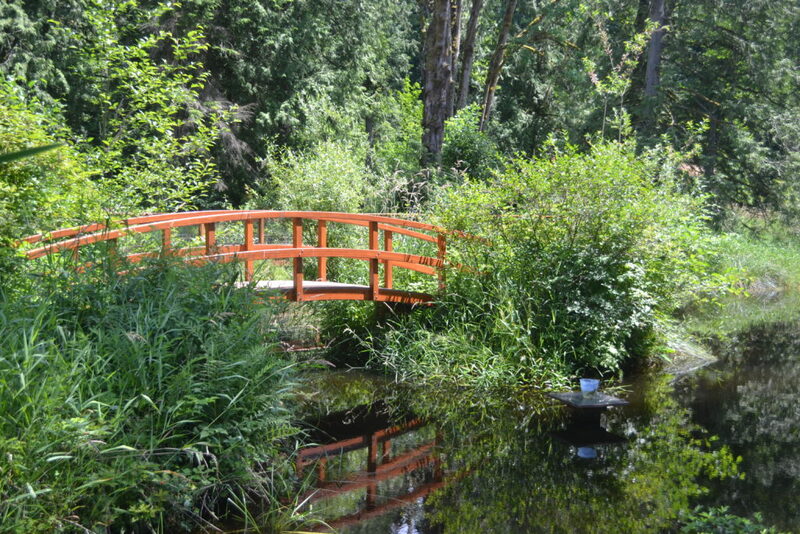 If you’re looking for a picnic spot, this is a great one. There aren’t “real” restrooms, but there are a few handicap accessible porta-pottys throughout the place. When we were there, they were clean. Just look at all those flowers on the roof! So pretty! Here’s one of the kiosks I mentioned above. The walker is complimentary for anyone who might need it during the walk (see this is a great place for everyone!). And afterwards? Well, hop back under I5 and head to Mossyback Produce. (29203 Old 99 N Stanwood, Washington). It’s a super cute and rustic place with fruits, veggies, flowers and ice cream. 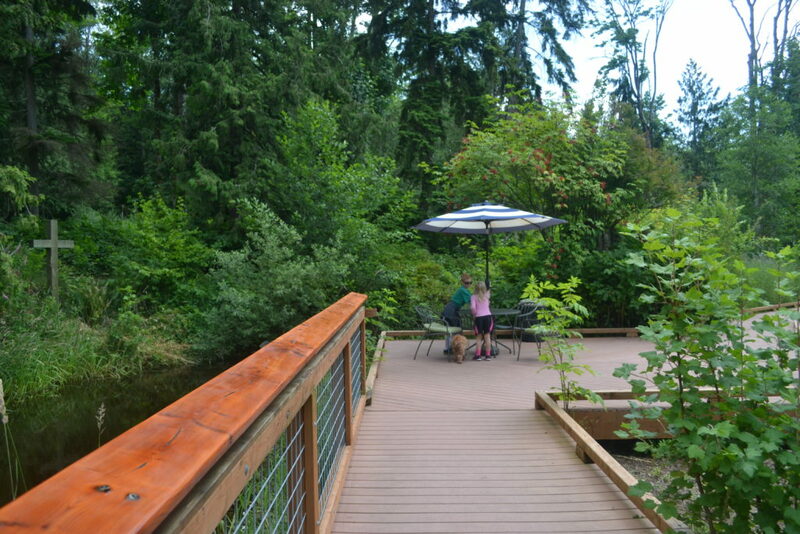 Looking for more kid-friendly walk/hike/play ideas? There are a ton here!